A Freelance Location Sound Recordist and Live Sound Engineer. 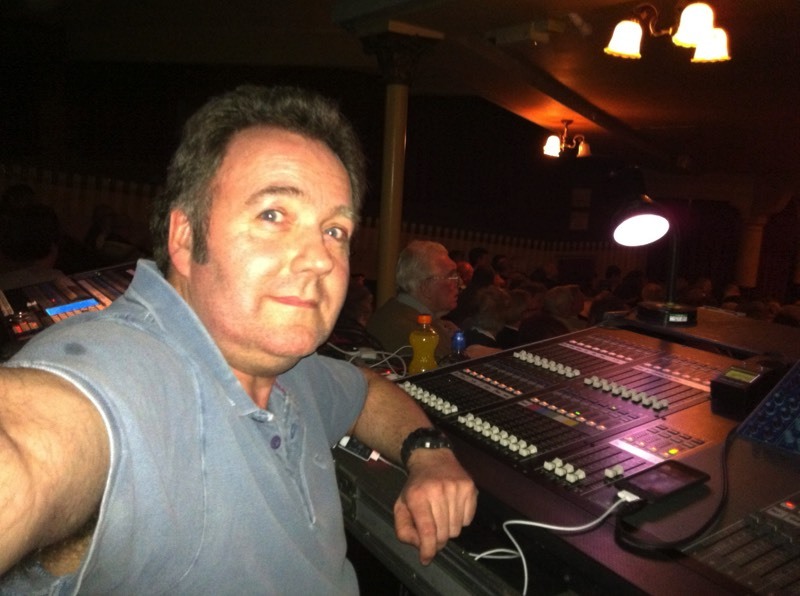 More than 25 years of sound recording experience with an early background in live sound for musicals, bands and PA systems. Currently working in TV documentary and features on shows such as BBC Country File, BBC Gardeners World, Channel 4 Grand Designs, ITV This Morning, BBC The One Show and programmes for satellite channels. Has taken on the occasional tour to maintain his live music skills, working on "Oh! What a Night" in 2008 and "That’ll Be The Day" in 2010. But mostly sticks to TV nowadays. Owns the usual documentary sound kit including multi-track mixer recorder and gun mics, 2 radio mic channels & 4 Walkie Talkies. A flexible individual who is easy to get on with, whilst still retaining a high level of professionalism within his work. Please contact me with your requirements. Working as Live Sound Engineer FOH on "That'll Be The Day"